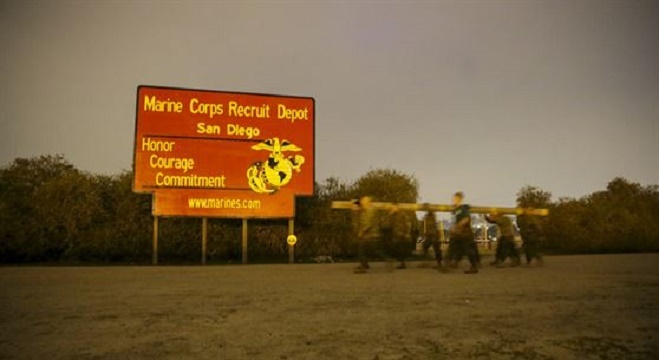 A recruit at the Marine Corps Recruit Depot San Diego was in a hospital in critical condition Saturday after an unspecified “medical emergency,” military officials said. The incident happened about midnight Friday. Details were scant, but a drill instructor performed CPR on the recruit experiencing the emergency before paramedics arrived and took him to an off-base medical facility, according to a Marine Corps statement. The cause of the health emergency has not been identified, but the recruit was being monitored due to ongoing physical health issues, the statement said. “The recruit’s family has been notified of their son’s condition and we are working closely with them to support their needs during this extremely difficult time,” said Brig. Gen. William Jurney, the recruit depot’s commanding general. The name and hometown of the recruit was not released.